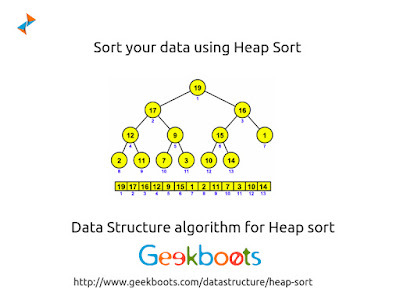 Heap sort is a comparison-based sorting algorithm. Heap sort is based on the heap data structure. The asymptotic performance of Heap sort is O(n log n) in the best, average, and worst cases. It is not as fast as Quick sort in the average case, but Heap sort has special properties that will make it particularly useful when sorting data sets too large to fit in main memory.